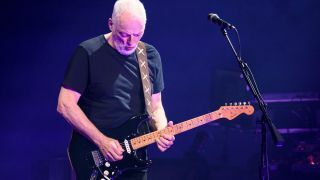 As he gears up to sell 120 of his guitars - including the legendary Black Strat - David Gilmour has given a new interview to auction house Christie’s, where he discusses his life in guitars. Naturally, the Strat features heavily in conversation, with the Pink Floyd hero citing it as perhaps the most expressive electric of them all. “There was one guitar trader in New Jersey who had the 1955 Les Paul on his list. It was all gold - the back and the sides and the back of the neck, and it looked great. I bought it and had it sent to LA where we were working on The Wall album. 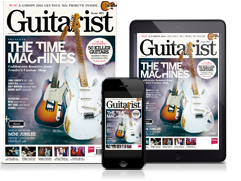 For more from David Gilmour, pick up a copy of Guitarist issue 444, which features an interview with the man himself and in-depth coverage and photography of the guitars going under the hammer.